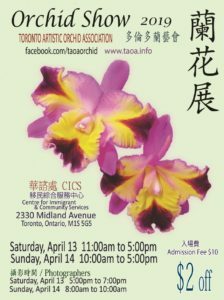 Check the poster for show times. 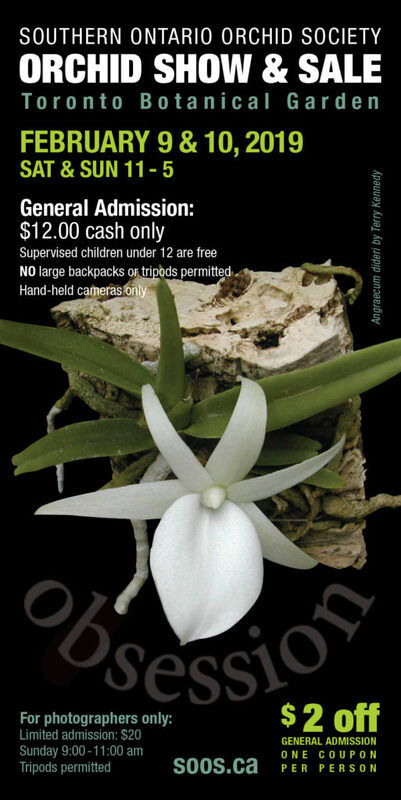 Colasanti’s Tropical Gardens, 1550 Road 3 E, Ruthven, ON N9Y 2E5. 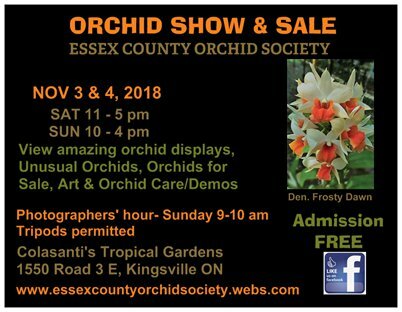 Check the Show poster for each day’s time. 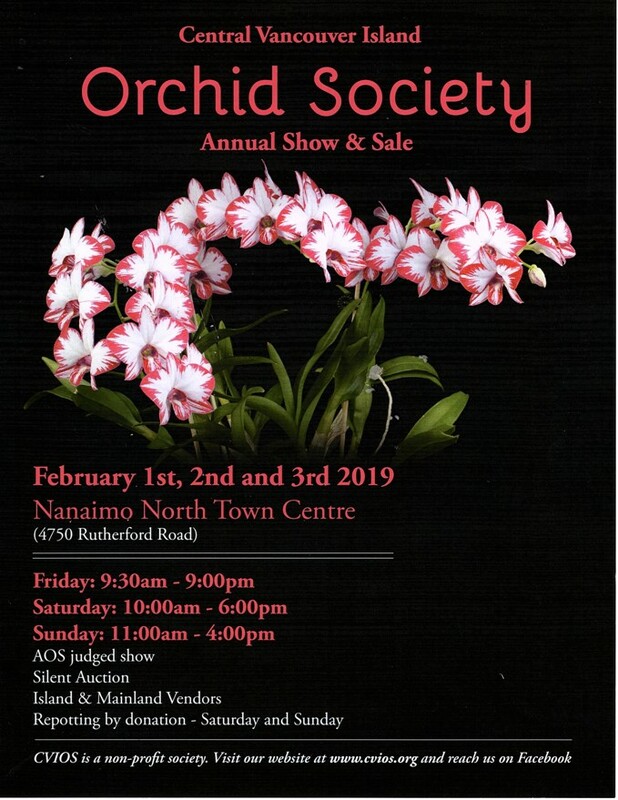 AOS judged show; silent auction; island and mainland vendors. 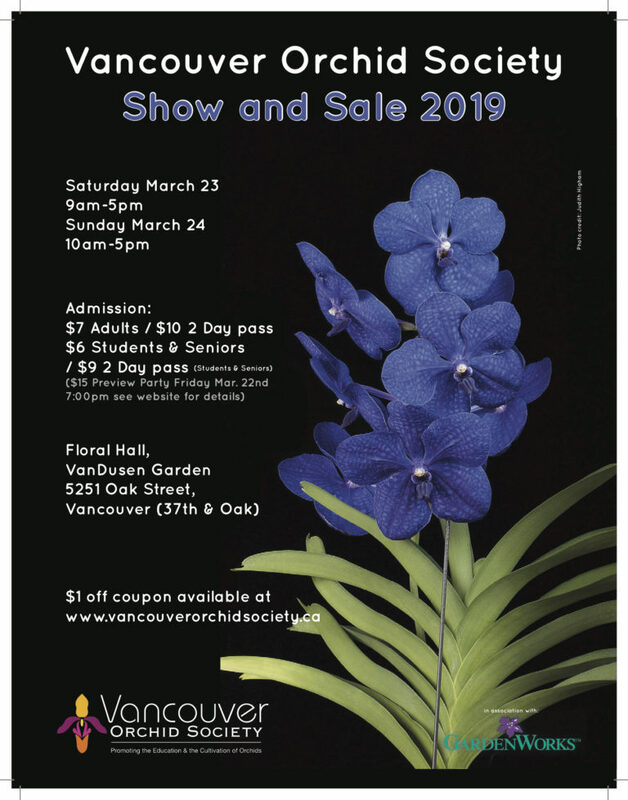 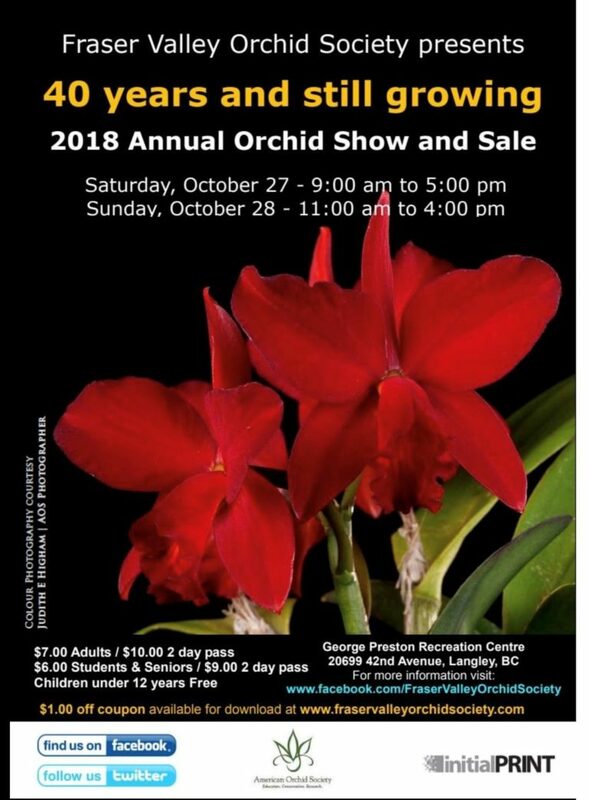 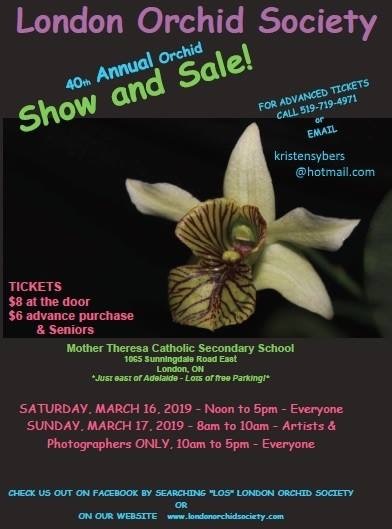 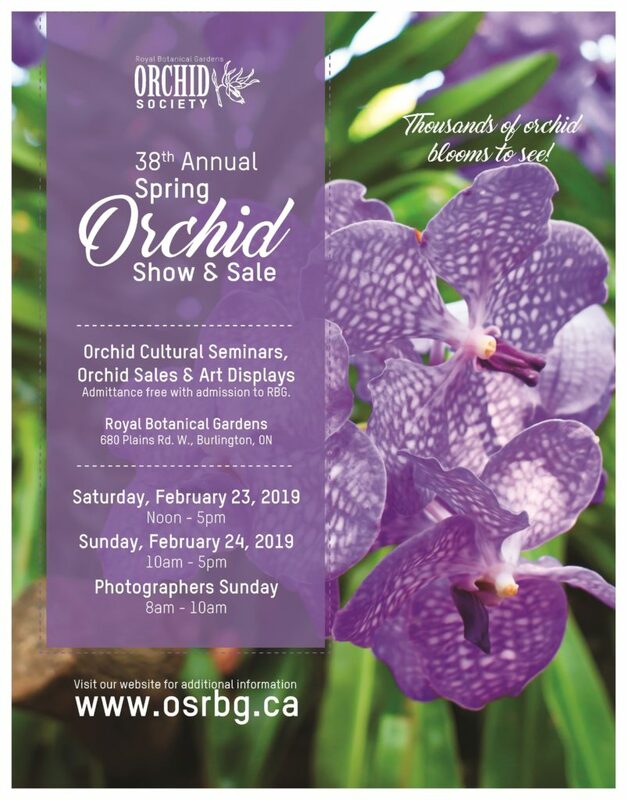 Attendance free with admission to the Royal Botanical Gardens. 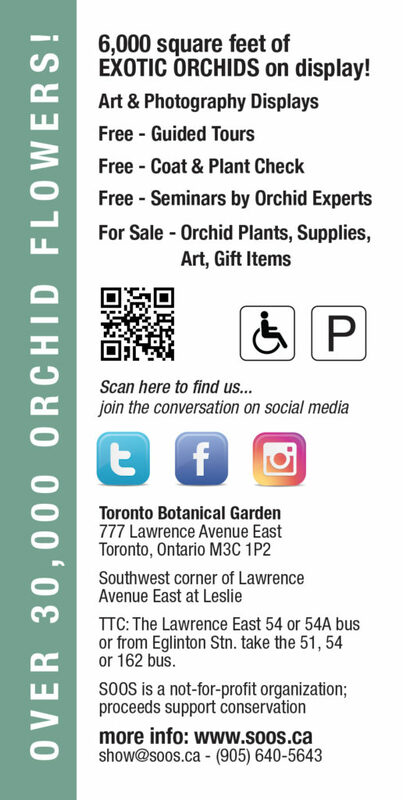 Download the bookmark (below) for an admission discount. 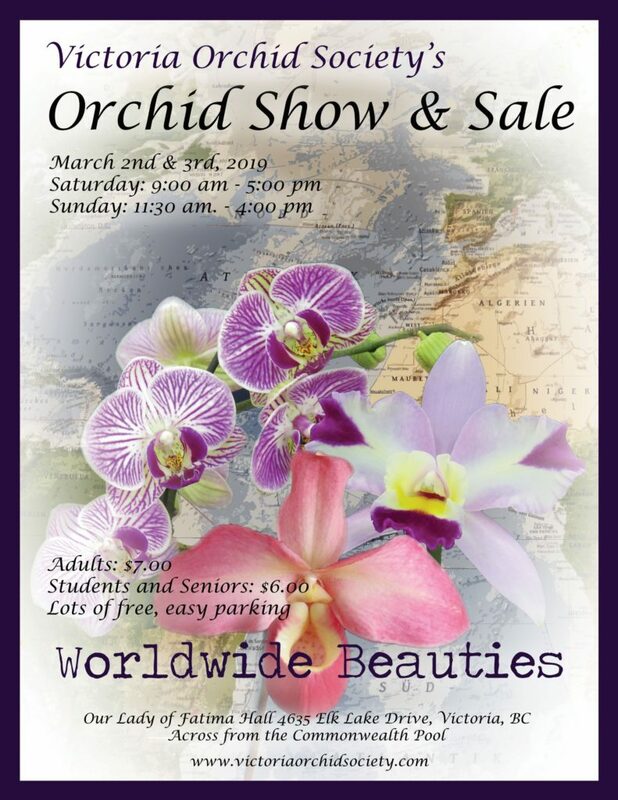 Be sure to check the poster for show times for each day. 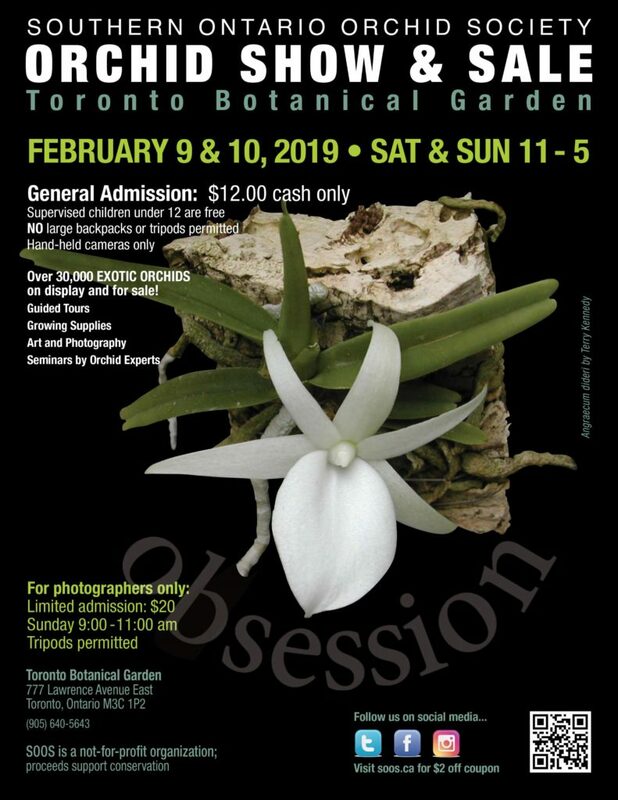 Please see poster for advance ticket sales, photographers’ session time. 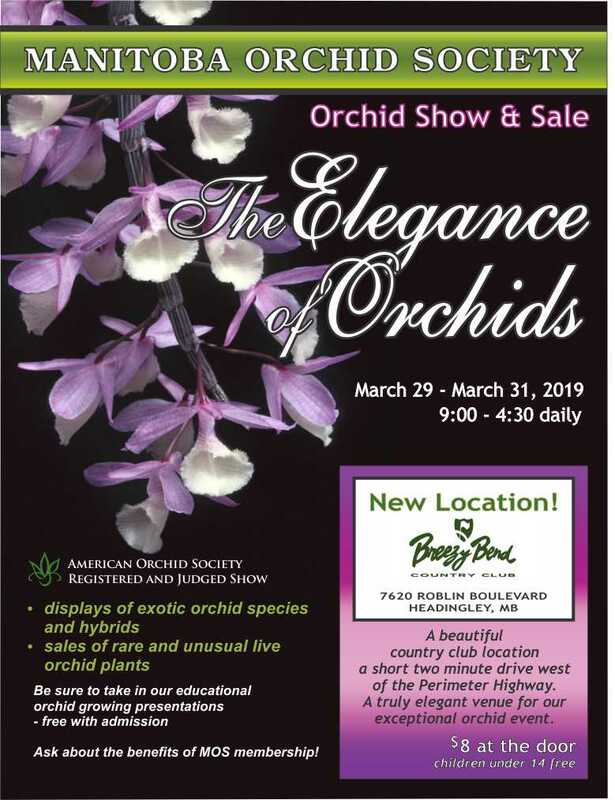 Breezy Bend Country Club, 7620 Roblin Blvd., Headingley, Manitoba, Canada.